Combining exceptional service, high quality cuisine, unique menus and a stunning setting, Issho is the place to come together for a truly unique experience, complete with private dining, its own destination bar and a stunning terrace.<br><br>As Bar Manager you will have the mixology, cocktail and wine knowledge to deliver an outstanding product and guest experience, whilst leading the team during service. You will have a real pride and passion for what you do, with the ability to build rapport and long-term relationships with guests. You will work closely with the management team to create new and inspiring cocktails and lead the training and development of the bar team.<br><br>As Bar Manager you will be the driving force behind the offering; responsible for planning, leading the team, developing the business, menu development for all bars and continuously delivering high service standards. We welcome creative ideas and require an energetic approach.<br><br>Key Responsibilities:<br><br>•	Develop a motivated and high performing team committed to delivering clear goals<br>•	Support the creation and delivery of business strategies<br>•	Identify areas for growth and commercial opportunities<br>•	Manage the bar budgets, stock take, pay role and all financial aspects of the bar<br>•	Actively seek guest feedback, responding accurately and adapting as necessary<br><br>D&D London is a collection of restaurants as individual as you are. Some of the benefits of working for us include: <br><br>•	Substantial career progression<br>•	Personal development and training - including the opportunity to complete the industry-leading D&D Diploma<br>•	28 days holiday that increases with length of service <br>•	Free meals on duty <br>•	40% discount in all D&D London restaurants<br>•	Fantastic bonus scheme<br><br>If you are interested in discussing the Bar Manager opportunity further, please apply directly right away! 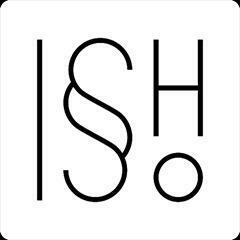 Issho is posting their hospitality jobs on Harri.